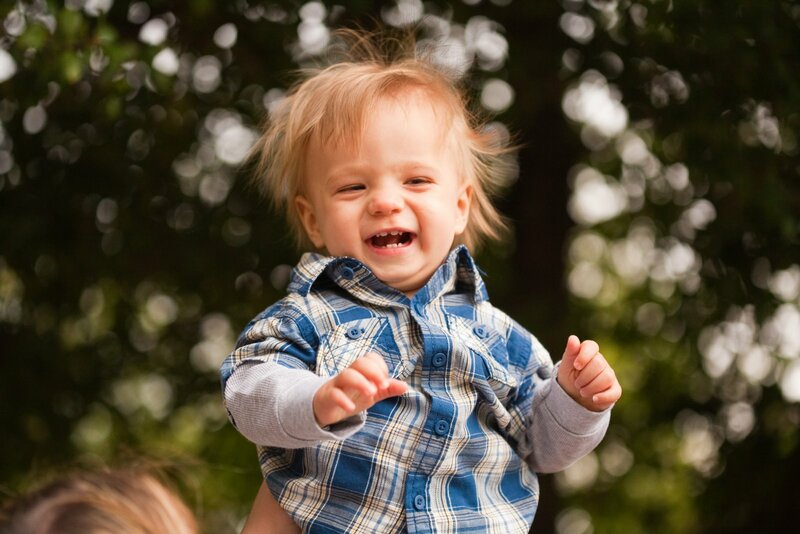 Here are a few photos of Teddy... standing strong, cruising more and more and learning to walk with his walker. The boy is a trooper. I'm so glad he is mine -- I'm so in love with the little rascal. Here's Eric and me. In early November, we celebrated our sixth wedding anniversary. Here's Teddy, sweetest baby boy ever. The kid melts my heart a zillion times a day. For real. He's recently learned to pull himself up from kneeling to standing, which is huge for him!!! Here he is trying to help unload the dishwasher. The boy LOVES to eat. He's still a bit small for his age (21 lbs., 13 oz. at his last doctor's visit), but the pediatrician says a lower weight is normal for kids who are a little developmentally behind. And Miss Greta. So independent. Loves all things Dora, including the shirt she is wearing in this picture. The same shirt you might have heard me mention -- the one that gets dragged from the dirty laundry over and over again. She wants to wear it dirty. One time, she wore it three days in a row. Yes, I know, we're gross. We had a great Thanksgiving, spent with family and lots of delicious food. Teddy wasn't into his get-up, and that's fine. I only dress him like this because one day he won't let me . Here's our Christmas tree. We get a live one each year, and I love it! Miss Greta, making the Joseph and Mary Little People kiss. I don't know who teaches her this crap. Did I mention he likes to eat? Teddy is doing physical therapy 2-3 times a week, and he's learning to crawl. So far, he's mastered slithering on the floor. It's pretty cute, even if it's not what the PTs want him to do. Lately he's started getting up on all fours. We're elated with his progress! Meanwhile, he loves loves loves the computer. but maybe not so much with the matching jammies!? Greta had her first pre-k Christmas concert. She was an angel. Oh, the irony! Ha! Christmas brings out other props, too, like the Santa hat. We got together with friends and made gingerbread houses. Mommy did most of the decorating while Greta taste-tested the candies. I hope to write more soon. Hope anyone reading this is having a low-key holiday!